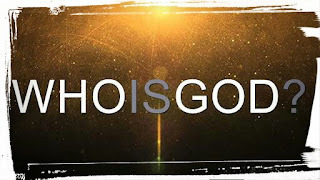 Christian24 Library: WHO IS GOD? The Oxford Advanced Learner’s Dictionary defines God as the Supreme Being of Judaism, Christianity and Islam, creator and ruler of the universe. God is generally accepted as the creator of the world. When there was no heaven and earth there has been God. God is the uncreated spirit being who existed before the beginning of time. God is the sovereign Lord of the universe. Because He is the creator of all creatures. God is also the provider of all needs. Before He created man He knew that man would eat, and so he created countless plants bearing fruits for him to eat. He has final authority and power over everything He created. E.g. weather, seasons, storms, floods, earthquakes, man, sun, moon, mountains, rivers etc. God is the almighty, the creator, the omnipotent, omniscience, the great healer, the sustainer of heaven and earth, God is love, kind, just, holy, the most powerful, merciful, omnipresent, God is Invisible. Various tribes in Nigeria call God different names based on their beliefs and attributes of God e.g. the Yoruba call God Olodumare, Olorun, Oba Iyanu etc., meaning the owner of sky, the owner of heaven and king of wonders respectively. The Igbos call God Chukwu or Chineke meaning great God or creator. Nupe call God Soko, that is the owner of the world. Hausa call God Ubangiji, meaning the supreme God. The Urhobos call God Oghene, that is, the creator. Ijaw call Him Tamara, that is, the supreme protector. Ibibio call Him Abasi meaning great God. Itsekiri call God Oritse, meaning creator or mighty God etc. It is generally believed that the whole world and the heavens were created by God. There are various accounts of creation. Creation is the act of making or causing something to be or exist. It is a way of bringing out something new. The Bible record of creation is that in the beginning, the whole world was without form, void and darkness was on the surface of the deep. In the first account of creation, God spent six days in creating the world while He rested on the seventh day and hallowed the seventh day. Day 1 God created the light Gen. 1: 1-5. Day 3 God created the seas, land and vegetation; trees, grasses and other plants Gen 1:9-13. Day 5 All kinds of sea creatures such as fishes, whales and every kind of birds were created. These creatures were good in the sight of God and He blessed them and commanded them to be fruitful, multiply and fill the sea, the sky and the land. Gen. 1:20-23. Day 6 God created all kinds of land animals on land like the elephant, the lion, cows, sheep, goats etc. Finally, God created man in His own image and likeness. He created them male and female. He commanded them to be fruitful, multiply and replenish the earth. God also gave man dominion over all the earth and put man in charge of other things He created on the earth. Gen.1:24-31. Giving names to other animals created. Gen.2:19,20. Reproduction – Man continues in the work of creation by giving birth to children, in order to replenish the earth as God commanded. Scientific Inventions – Right from creation, man continued in the work of creation in a primitive way of tilling the ground to farm, but now, man is advanced through scientific inventions in the area of mechanized agriculture, means of transportation, e.g. cars, railways, lorries, aero planes, etc. Also, in the area of Communication, there are telephone, internet computers, television etc. There are advancements in medicine and in every field of human endeavours including modern housing. Development of Natural Resources – Man continued in creation work be tapping and developing natural resources for human benefit and progress. e.g. drilling of crude oil for refining petroleum products, gas, power such as electricity, manufacturing of Iron and Steel, making of paper and furniture from wood etc. Why God Created Human Beings. God created the first set of human beings. First, God created man. God created man from the dust of the earth. God then breathed into his nostrils the breath of life and man became a human being. God called him Adam. God saw that it was not good that man should be alone and He promised to make an helper for him. The lord caused a deep sleep to fall on Adam and He removed one the ribs and closed it up with flesh. God made a woman out of the rib and brought her to Adam. When Adam saw her, he was happy and said, “This is now the bone of my bone, and the flesh of my flesh, she shall be called woman because she was taken out of man”. Adam gave the name Eve to the woman because she was the mother of all living. God created human beings in order to know, worship and serve him. Songs About Creation In English And Different Nigerian Languages. The Lord God made them all . etc. You’ ve got the whole world in your hands; etc.